Ireland’s quartet of hopefuls finished day one outside the cut mark as Australian Nathan Holman fired a seven under 64 to lead the Maybank Championship Malaysia. Holman fired seven birdies in flawless opening round at Royal Selangor Golf Club where he leads by one from the six-man pack of England’s Danny Willett and Tommy Fleetwood, American Peter Uihlein, Frenchman Alexander Levy, Spaniard Jorge Campillo and Filipino Angelo Que. Winner of the Australian PGA Championship in just his 16th European Tour event in December, Holman then sealed two top 40 finishes during the European Tour’s Desert Swing to lie 10th in the race to Dubai. “I just played really well to be honest,” said Holman, who is 175th in the world. "Every part of my game was quite good and I was saying a few weeks ago that my game has been trending in that right direction so it was nice to get a really good one in. "A lot of the guys probably haven't played here. It's quite a tricky golf course and quite short so you need good lines off the tee and if you can get your wedges and putter going, you can post a score. "It suits my eye. I quite like the look of it and obviously that's shown through with the score I had today so I'm looking forward to playing the next three days." If Holman was happy with his day and his 27 putts, it was a tougher experience for Paul McGinley, Darren Clarke, Niall Turner and Michael Hoey as they all finished over par. McGinley and Clarke shot one over 72s to share 85th spot but Turner (74) and Hoey (77) had just two birdies between them — both at the par-five 13th — to end the day tied 122nd and 149th respectively. “There are a lot of birdie chances out there, but if you find the rough it can really grab you, I’m really happy with seven under par. “I just played really well to be honest. Every part of my game was good and I was saying a few weeks ago that my game has been trending in the right direction, so it was nice to get a really low one in. “It was a bit of a mixed bag today if I’m being honest with you. I hit it very nicely on the front nine but made nothing. Then on the back nine it was a bit scrappy at times, but I seemed to hole everything in sight. So it was one of those days where you put two very different nines together, but still walk away with a good score. Graeme McDowell believes he is reaping the benefits of a hard winter’s work after taking a share of the lead on day one of the Maybank Malaysian Open, writes the European Tour. 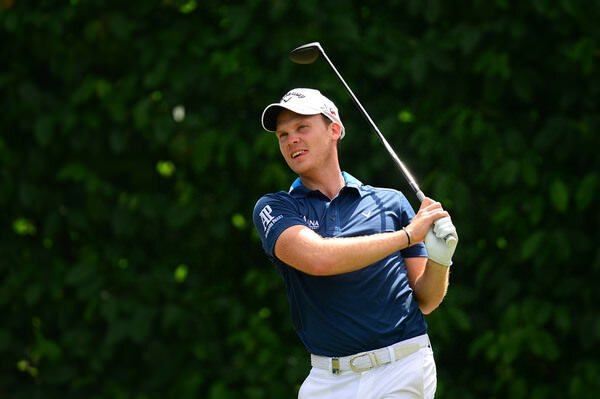 Three of Ireland's four strong challenge went completely off their greens in the third round of the Maybank Malaysian Open in Kaula Lumpur. Paul McGinley, Niall Turner, Michael Hoey and Darren Clarke missed the cut in the $3m Maybank Championship Malaysia at Royal Selangor in Kuala Lumpur. Ripped Rory ready for Riviera rumble: "I've got a ruthlessness on the course I maybe didn’t have a few years ago"